You are currently browsing the archives for the Oral Surgery	category. There are many reasons why people lose their natural teeth. Whether you suffered severe decay or a traumatic mouth injury, a dental implant is the best long-term solution to replace a missing tooth. There are two main types of dental implants: traditional and mini implants. Here’s a closer look at the differences between the two as well as insight into which type may be right for you. A traditional dental implant is considered the standard in implant dentistry. A traditional implant is designed to give the most long-term restoration, offering optimal function and form in a replacement tooth. In fact, many patients retain successful traditional implants for a lifetime! Are you putting off the need to have a bad tooth pulled? Teeth that are severely diseased need be extracted if a root canal is not an option. It such cases, it is not uncommon for a tooth to produce significant pain, and then eventually get better. Don’t be fooled into thinking that your tooth is now fine and healthy enough to be left alone. Generally, this happens because the tooth and its nerves have eventually died. Strong discoloration will soon be apparent if it is not already visible. If the tooth needs to be extracted due to gum disease, your situation will only worsen if you wait to have it removed. Gum disease will eventually destroy the surrounding bone, which is essentially your body attempting to “self-extract” your tooth. While the end result may be that your tooth becomes loose and falls out on its own, you have now put yourself under significant risk when it comes to your oral health and your potential candidacy for dental implants to replace your missing tooth. Dental implants need strong bone support to be successful. 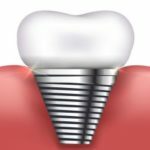 Each dental implant involves a titanium screw that is secured into the jawbone to act as your artificial tooth root. This is what makes dental implants uniquely advantageous compared to dentures or other removable tooth replacement options. However, a dental implant cannot be immediately placed if the surrounding bone has been destroyed by gum disease. A lack of bone support doesn’t mean you are not eligible for dental implants, but it does mean that you may need a bone graft or sinus lift in order to set the stage for successful dental implants. Thus, your dental implants may be more expensive and more complicated than it should have to be if you had elected to have your tooth extracted in a timely manner. Dr. Wayne Suway is an award-winning implants dentist who is known for providing comfortable and successful tooth replacement for even the most complex cases. However, we always educate our patients on ways to avoid dental implant complications or a more invasive procedure. If your dentist has advised a tooth extraction, this typically means that your tooth is no longer viable and needs to be removed in order to prevent worsening consequences. Just because you are not experiencing pain, does not mean that gum disease is not destroying your bone structure as you wait. If you would like to learn more about the benefits of mini dental implants or discuss the possible disadvantages, please schedule a consultation with Dr. Wayne Suway. He is an experienced dentist who is highly regarded for his expertise in implants dentistry. Let us determine if mini implants are right for you! Dental implants are known for their very high success rate. However, just like any other surgical procedure, they are not without risk. Peri-implantitis is one of the long-term risks of dental implants. It is an infection that causes inflammation of the surrounding gum and bone of an already integrated dental implant. Unfortunately, peri-implantitis results in progressive bone loss. If you are experiencing any of the above signs or have concerns about your dental implant, always contact your dentist right away. Peri-implantitis may develop years after your initial implant placement. Your dental implant can still be saved. Most peri-implantitis dental implants require surgery and bone grafting, which will also involve cleaning the gums of bacteria and eliminating infection before regrafting. Wayne G. Suway, DDS, MAGD is a renown implants dentist who can treat peri-implantitis and correct other types implant failure. Patients can suffer from peri-implantitis due to poor surgical technique. Dr. Suway will evaluate the cement used, the quality of the crown and check for loose abutment screws. All of these can contribute to peri-implantitis. Bone loss after dental implants can also occur in patients who smoke, have diabetes or suffer from gum disease. Will My Dental Implant Procedure Be Painful? One of the most frequently asked questions from patients considering dental implants is whether or not they are painful. More specifically, patients ask if getting dental implants involves more pain than having their tooth extracted. While the answer can vary depending on how each patient perceives pain, for the large majority of implant dentistry patients, the procedure involves less discomfort than an extraction procedure. Dental implants provide amazing benefits for patients who need to replace missing teeth. However, it is a surgical procedure. Every oral surgery comes with risk factors and the expectation for some amount of pain. However, with the use of anesthesia and Dr. Suway’s comfort techniques, our patients experience minimal discomfort during implant placement. It also depends on what your implant procedure involves. Patients who need bone grafts or other supplemental procedures may experience more discomfort than others. There are many options and levels of sedation dentistry; make sure you discuss your specific needs and pain tolerance with your dentist prior to your surgery. Pain and discomfort after your dental implants are placed can be compared to the amount you would feel after a common dental procedure. There will be incisions in the gums that may bleed immediately after surgery. As the anesthesia wears off, patients generally feel some minor pain and discomfort. Some patients have minimal bruising and swelling in the gum or face, particularly if they had a bone grafting procedure. In most cases, over-the-counter pain medicine can relieve your post-procedure discomfort. If you are like the majority of dental implants patients, you will be pleasantly surprised at the small level of discomfort this procedure involves. Dental implants are one of the most advanced options in dentistry available; yet their placement usually involves no more pain than a root canal, extraction or filling. If you do experience severe pain after your dental implant procedure, always call the office immediately. Wayne G. Suway, DDS, MAGD is a highly experienced implants dentist with a priority to give patients life-changing results in the most comfortable way possible. Comments Off on Will My Dental Implant Procedure Be Painful? A dental implant consists of a small titanium screw that is inserted into a patient’s jawbone to take the place of missing tooth roots. An abutment is the post that attaches to the screw and secures the final tooth restoration (crown or denture) on top. Dental implants are a permanent tooth replacement option that looks, feels and functions most like your natural teeth. Implants fit securely, without the worry of gum irritation or slipping. Dental implants preserve facial features and prevent bone loss. Dental implants do not restrict your diet. Implants do not require extra maintenance beyond your normal oral hygiene routine. Implants are designed to last a lifetime. For qualified candidates, dental implants can be placed in a single day. Your first step is to have an initial consultation and exam by a qualified dentist to approve your candidacy. You will have a 3D scan to determine the precise measurements for your implants. Next, your will undergo oral surgery to place your implants. You will need several months of healing time to allow the implants to fuse to the jawbone. Once the implant is anchored securely, your prosthetic teeth will be placed over the implant. 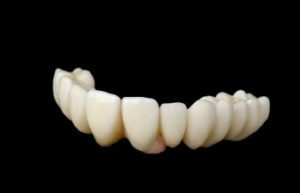 This may include a crown or implant supported denture. For patients with ideal gum conditions, this process can be shortened to allow new teeth to be placed the same day as the dental implants. Dental implants are known for having 98% success rate! If you choose Dr. Wayne Suway, your dental implants can be placed and restored by the same person. He is extensively qualified in implants dentistry, performing both oral surgery and restorative procedures. Will my insurance cover the cost of dental implants? It depends on your specific policy. Dental implant treatment may qualify for some insurance coverage, but is generally limited to the coverage provided for a bridge or partial denture. No, you can benefit from successful dental implants at any age. If you have further questions regarding dental implants, please call the office of Dr. Wayne Suway. We are happy to educate patients on the countless advantages of implant dentistry. It is important to us that each patient understands the dental implants process in its entirety before a final decision is made. If you have been told that you need a sinus lift before getting dental implants, there is no need to worry. A sinus lift procedure, also called sinus augmentation, is very common. It is designed to add height to the bone in the area between the molars and premolars. A bone graft will be performed in this area, adding bone between the jaw and sinus in cases where there is insufficient upper jawbone structure to support a dental implant. Sinus lifts are used when placing dental implants to replace the upper back teeth or molars. This type of graft is necessary if bone has been lost due to disease or simply because of the skull anatomy, as there is typically less bone in the upper jaw compared to the lower jaw. You can rest assured that your sinus lift procedure will be conducted in the most precise way, using the highly advanced technology of a cone beam scan. Cone beam scanning is an in-office 3D CAT scan system that allows the surgeon to accurately measure the width and the height of the bone and the detailed relationship of the jawbone and sinus cavity. This technology reveals the specific amount of bone available for dental implant placement, which determines whether or not you may need a bone graft or sinus lift. A small window is made in the back wall of the maxillary sinus with special burrs. These burrs are designed to safely cut a window in bone without damaging the underlying tissue or sinus membrane. The sinus membrane is then carefully lifted. Typically, a resorbable collagen membrane is placed in the sinus against the sinus membrane to protect it while bone graft material is placed on top of the sinus floor. There are several types of bone graft materials that can be used, including autogenous bone (the patient’s own bone), allogenic bone (freeze-dried cadaver bone), bovine bone (cow bone), and BMP (bone morphogentic protein). Your implant dentist will decide which is best for you. In many cases, your sinus graft can be performed at the same time as your dental implants. However, there are situations where the sinus graft needs to heal before implant surgery. Dr. Wayne Suway is distinguished in the field of implant dentistry and he is more than happy to answer your questions surrounding sinus lift procedures for dental implants. If you have decided to get dental implants to replace your missing teeth, then you have made an excellent decision. Dental implants can provide numerous advantages over dentures. One of the reasons dental implants are the gold standard in tooth replacement is that they are surgically implanted into the jawbone. Although this surgery is quite straightforward and designed to go smoothly, you may be wondering what to expect as you come home after surgery. Dental implant recovery depends on a number of factors, including the specific type of dental implant you choose, the number of teeth being replaced and whether or not bone grafting is needed. Regardless of how extensive your dental implant surgery is, however, you will need to take your recovery very seriously. Once your implant has been placed, there should be diligent care and hygiene around the implant area. This is critical to ensure proper fusing of the implant and bone structure over the next month following surgery. Do Not Disturb: It is important that for the first 24 hours after surgery you avoid disturbing the wound site. No rinsing, spitting or touching this area so that the site is kept germ-free and the sutures are not irritated. Take Antibiotics: You should remember to take the prescribed antibiotics following surgery. This is a critical step to prevent infection and serious complications. Start Rinsing: After the first day, your dentist will likely recommend you start rinsing with a prescribed oral rinse and/or a warm saltwater several times a day. Expect Minimal Bleeding: For the first 24 hours, it is very normal to have blood in your saliva. It is helpful to bite down on gauze pads to control and reduce blood flow. Manage Pain: Try to take any over-the-counter pain medication (or one prescribed by your dentist) before the anesthesia wears off. Staying ahead of the pain can help dramatically. Soft Diet: Stick to a soft foods diet for the first 5-7 days to reduce discomfort. Be sure to stay hydrated by drinking plenty of fluids. Expect Some Swelling: You may notice a small amount of swelling following surgery. To minimize this, try to keep your head elevated, lower your activity level and apply ice packs for the first couple of days. No Smoking: Do not smoke for a minimum of 2 weeks after dental implant surgery. Smoking after this procedure has been known to increase risk of infection, inhibit healing and contribute to overall dental implant failure. Again, your recovery experience will be unique to you. Healing from the surgical procedure to place the dental implants can take up to six months, while the fitting and seating of the crowns can take up to two months. It is most important that you listen carefully to your implant surgeon’s guidelines and follow-up as instructed after surgery. Keep in mind that when properly cared for, dental implants last a lifetime. Dental implants have revolutionized the way missing teeth are replaced. They offer a permanent solution to those that have lost a single tooth or multiple teeth due to periodontal disease, an injury, or other reason. A dental implant is essentially an artificial tooth root that is placed into your jaw to hold a dental implant restoration (such as a crown or bridge) securely in place. Dental implants, however, are not for everyone. It is a procedure that is completed in stages, over a period of several months and requires good general and oral health. Because the success of the dental implant is contingent upon proper healing and fusion of the surgical titanium post to the jawbone, you need to be carefully evaluated for candidacy of this procedure first. In addition, you should always tell your implant dentistry professional of any pre-existing medical conditions that interfere with the success of dental implants. For example, patients who are pregnant, still developing jawbone density, or have certain medical conditions, or are currently taking medications that suppress the immune system may not be good candidates for dental implants. If bone loss in your jaw is inhibiting you from going forward with dental implants, it may be helpful to ask about bone grafting. Bone-grafting procedures can rebuild your jawbone to adequate density so that you become eligible for dental implants. Wayne G. Suway, DDS, MAGD is a highly skilled and experienced dentist who can help determine whether or not you qualify for implant dentistry. He not only places dental implants, but Dr. Suway can also provide the final stages of dental implant restorations as well. Should you not qualify for dental implants, there are many other tooth replacement options available that can help you regain an attractive, functional smile again. Comments Off on Dental Implants: Are You A Candidate?